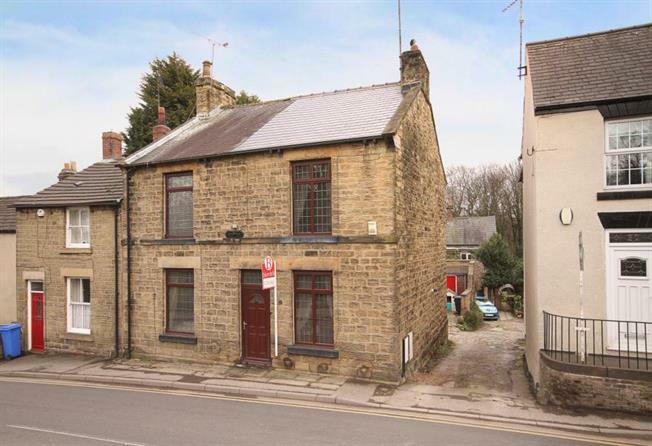 2 Bedroom Semi Detached House For Sale in Sheffield for Guide Price £135,000. Blundells are delighted to offer for sale this extremely well presented two bedroom stone built semi detached house in the heart of Ecclesfield which benefits from combination gas central heating and uPVC double glazing. Situated in a highly sort after and convenient residential area which is well served with local amenities such as schools, shops, public transport into Sheffield City Centre and good links to the M1 and Motorway network. The ground floor accommodation is made up of a charming Lounge, a modern country style Kitchen/ Diner which sympathetically blends in to the traditional feel of the property. To the first floor you will find a main double bedroom and a second double bedroom. A family bathroom/w.c completes the internal accommodation. The exterior and gardens provide a brick out building, off street vehicle parking. Viewing is highly recommended to really appreciate the quality this property has to offer.